According to the National Institute of Justice website, every year tens of thousands of people in the U.S. disappear under mysterious circumstances. The site also claims that on any given day there are as many as 100,000 active missing person cases on the desks of law enforcement officers. Moreover, there are an estimated 40,000 unclaimed remains on file at Medical Examiner offices or that have been buried before being identified. In 2005, the realization of these facts was the impetus for the formation of The National Institute of Justice’s National Missing and Unidentified Persons System (NamUs). 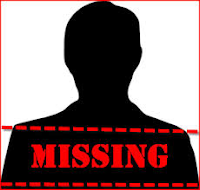 A free online system that can be searched by medical examiners, coroners, law enforcement officials and the general public from all over the country, NamUs offers three databases: missing persons, unidentified persons, and unclaimed persons. Thousands of records have been input into the databases, but are of no use unless someone accesses the information. According to a press release issued in 2011 by the Department of Justice, the remains of sixty-two people have been identified through NamUs and returned to their families. Many of the cases were solved because of the opportunity for the public to search the records or to input photos and identifying marks about their relatives. There are actions the public can take with regard to NamUs – the most obvious being that if you have information about a missing or unidentified person, you should report the information to the local law enforcement agency. Do you personally know law enforcement officials? Make sure they are aware of NamUs. Do you know the family of a missing person? Encourage the family to visit the NamUs website where they can create a case file. Register to be a public user for the missing persons and unidentified persons databases. This will allow you to input new information about cases. One by one, with the help of NamUs, the lost are found.